Located in the small beachside settlement of Port Hueneme, just to the west of Malibu, the Bard Mansion is set on the historic Berylwood estate and dates to the late 19th century. This ornate Renaissance-style building was once home to Thomas R Bard, with beautiful stonework and classic columns which combine both Tuscan and Ionic elements. This historic venue also includes a botanical garden with rare plants and trees, together with a spacious ceremonial lawn. Expansive windows, wrought iron railings and its red-tiled roof also add a Spanish flavor to the property’s exterior, while exquisite wood panelling, fireplaces and high ceilings are found throughout. A bridal suite is available for the bride and her entourage to get ready and limited on-site accommodation is available for the couple, family and friends to spend the night. There are 12 bedrooms and seven bathrooms in total, with a distinctly personal atmosphere and historic ambiance. Bard Mansion has the capacity to host weddings of up to 200 guests, with numerous venues for both your ceremony and reception. You can say “I do” on their spacious lawns while the sun sets, bathing the estate in a golden light, then step inside the ornate ballroom for a luxurious reception. There is plenty of room for a sit-down dinner, as well as a small dance floor. 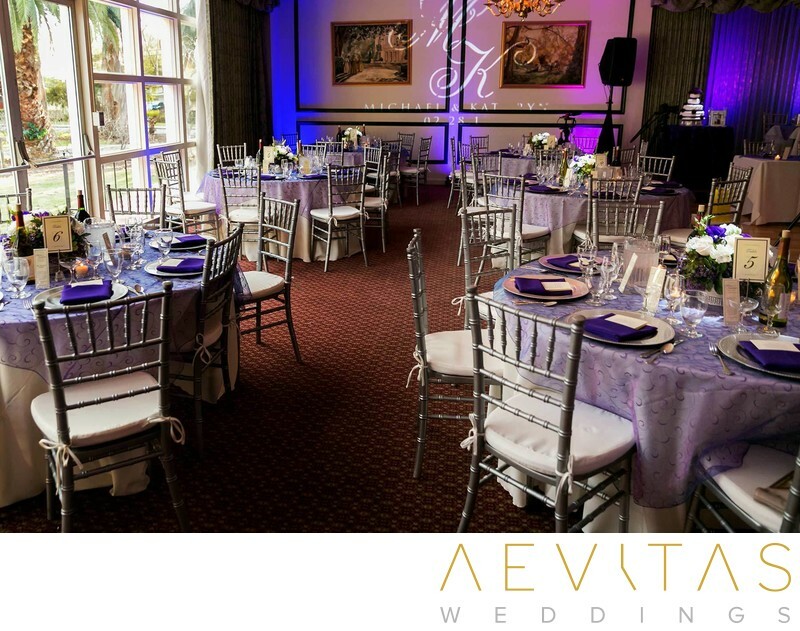 They offer a wedding coordinator to help you plan every aspect of your special day, including full bar and catering services as part of their wedding packages. You can enhance the spaces with your choice of florals and select your preferred wedding photographer to capture each and every moment. Bard Mansion was acquired by the United States Navy in 1944 as a conference center and is situated on the Ventura County Naval Base. You do need to go through a background check to hold your wedding at Bard Mansion, but the rewards are an affordable and historically elegant Los Angeles wedding venue.